The screening Pap test (Pap smear) covered by Medicare is a laboratory test that consists of a routine exfoliative cytology test (Papanicolaou test) provided for the purpose of early detection of cervical cancer. It includes collection of a sample of cervical cells and a physician’s interpretation of the test. death associated with abnormal cell changes that may lead to cervical cancer. 2. There is evidence that the woman is in one of the high risk categories (previously identified) for developing cervical or vaginal cancer, or has other specified personal history presenting hazards to health. NOTE: This diagnosis should only be used when the provider performs a full gynecological examination. * The beneficiary who is not at high risk has received a covered screening Pap test within the past two years. For example, the professional component CPT code 88141 describes the physician interpretation of a diagnostic cervical or vaginal cytopathology specimen and may be reported with technical component CPT codes for diagnostic cervical or vaginal cytopathology such as CPT codes 88142-88154, 88164-88167, and 88174-88175. 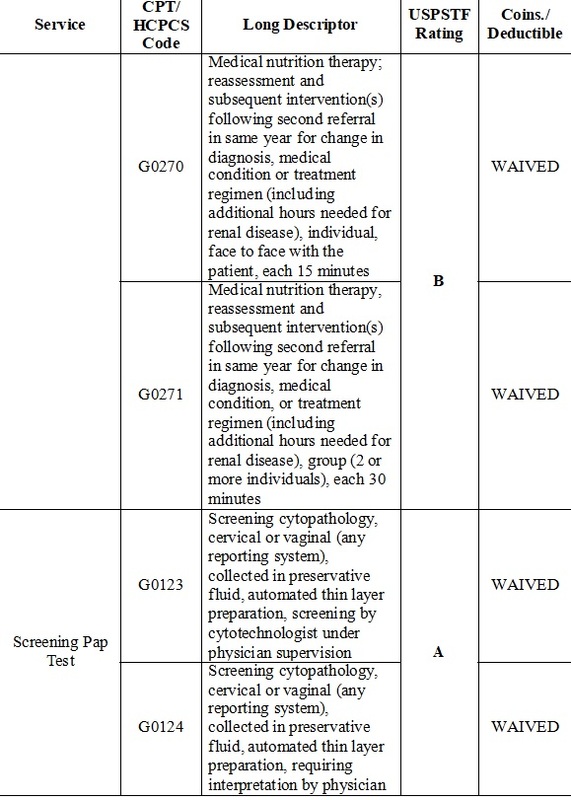 CPT code 88141 should not be reported with HCPCS codes for screening cervical or vaginal cytopathology such as G0143. It is a misuse of CPT code 88141 to report a physician interpretation of a screening cervical or vaginal cytopathology specimen reported as HCPCS code G0143. Description: The following policy addresses Blue Cross and Blue Shield of Minnesota’s (Blue Cross) billing and coverage of Papanicolaou (Pap) tests. Definitions: A Pap test is a smear of vaginal or cervical cells obtained for cytological study. There are several types of methods and systems of testing the smear. Codes 88142-88154, 88164-88167, 88174-88175, P3000, P3001, G0123-G0124, and G0141, G0143-G0148 are for cytopathology screening of cervical or vaginal smears. Policy: The procedure codes, diagnosis codes, specimen collection codes and handling fee that apply to Papanicolaou smears are detailed below. screening of cervical or vaginal smears. Submit the appropriate code to reflect the service provided. 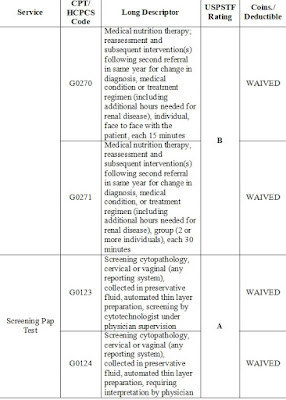 Procedure code 88141 and 88155 are used to report physician interpretation of a cervical or vaginal specimen and should be listed in addition to the screening code chosen when the additional services are provided. Coding: The following codes are included below for informational purposes only, and are subject to change without notice. Inclusion or exclusion of a code does not constitute or imply subscriber coverage or provider reimbursement. Yes I have read the statement Appeal Insurance Denial.It is good.